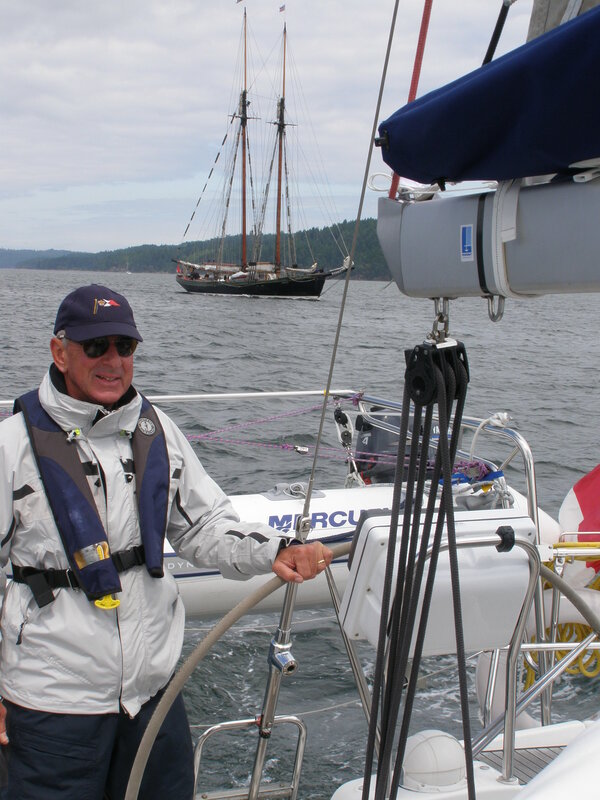 May 23, 2013, is the day set for sailing away from Oak Bay Marina in Victoria, BC aboard “Frogs” our 40ft Dufour sailboat built in Périgny near La Rochelle in France. 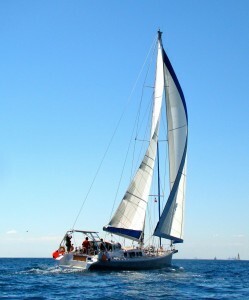 We (Dunnery and I -the Sailing Frog-) started planning this over 10 years ago. 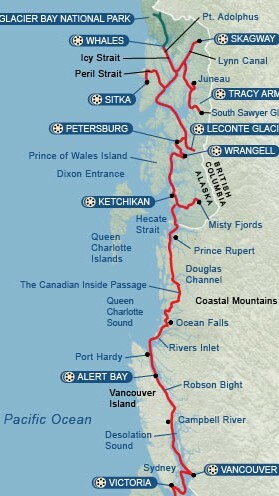 We have set aside three months to sail the Inside Passage on the Pacific North-West coast. In the last few months, we have upgraded the GPS/Chartplotter, added radar and AIS, new LED lights, extra anchor chain, more shelving, a good size bimini to have a fighting chance against fog, rain, high winds and cold. Dunnery painted the bottom. We have the Nexus cards, passports, the boat decal for US boating, the fishing licence (think Dungeness crab). We are gathering all sorts of small accessories and some not so small such as a double inflatable kayak to get close to the icebergs. We are now racing to meet the deadline, lots more things to do, itinerary to finalize, way-points to enter in the chart-plotter, provisioning, packing cloths, reading, music. System to checks, bills to pay, emergency and first-aid kit to gather, orders to pick up. 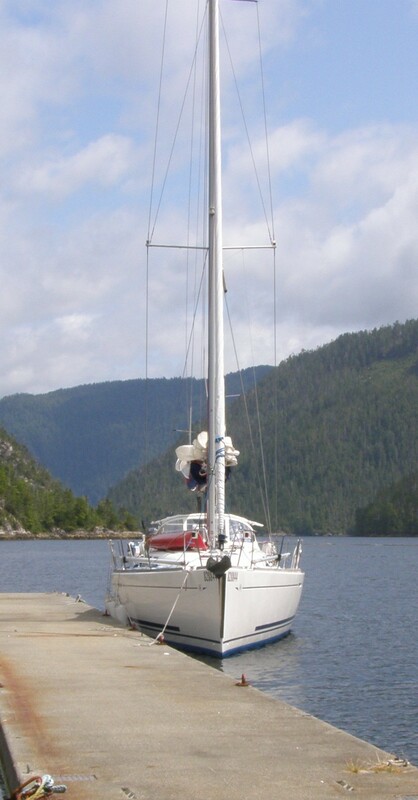 Final cleaning, removing all the junk we won’t need, like bikinis, open shoes, adding all the warmest gear we own, wool socks, rubber boots, long johns and foul weather gear, neoprene. Add also our new theme library, with nautical charts, tides and currents tables, atlases and cruising guides all with one focus: Alaska. The most valuable information has come from friends though, it’s good to know that some quite normal people have done this and have come back with amazing stories and pictures. If you wish to follow our adventure, sign up to receive a quick email notification when a new post is published. See at the bottom of the page. (Your email will not be shared and you may unsubscribe at anytime). 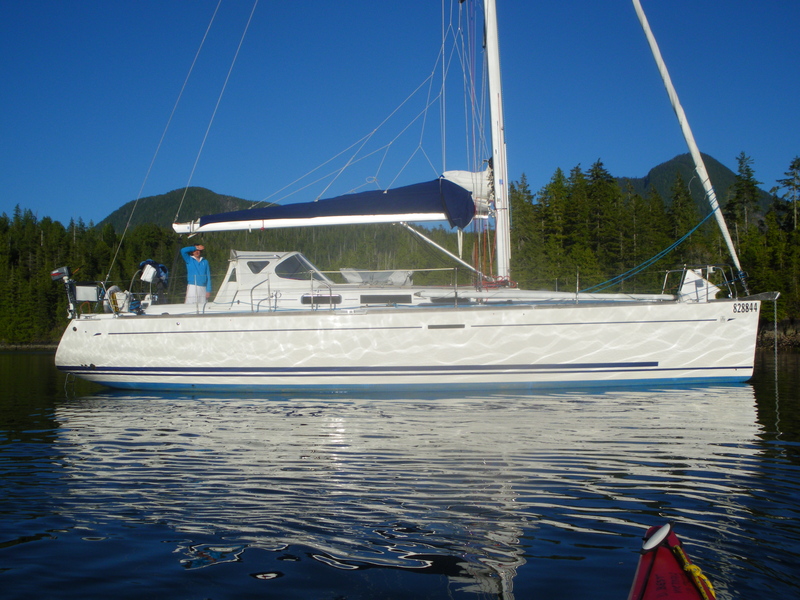 This entry was posted in Home, The Log and tagged alaska, cruising, Inside passage, sailing. Bookmark the permalink. keep in touch , mais pas en live car on sera du côté de l’Islande et du Groenland …. Alaska next !! A trip of a lifetime! We’re looking forward to seeing you enroute. Pensez a nous sous le soleil de Provence! Bon Voyage, it sounds like a dream come true! So great that you guys are doing this! You are an inspiration.